“Ore wa teppei (Boy Action)”, “Ashtia no Joe (Champion Joe) and many more, with a heart-warming manga style and exceptional psychological depiction, Tetsuya Chiba is a master who creates vivid characters who keep moving forward in the face of adversity. Starting with Ashita no Joe, he produced hit after hit. Now, he is working as a professor at the Bunsei University of Art, enthusiastically passing on his knowledge to a new generation of young artists. What will he think of the new talent from all over the world? Tetsuya Chiba sensei, with “Joe” behind him. 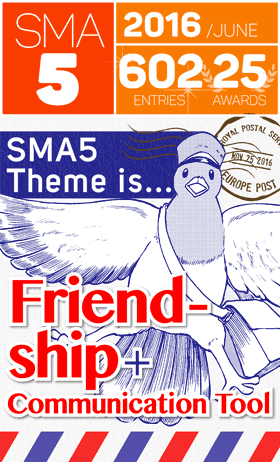 What do you think about the SILENT MANGA sent from around the world? Chiba: It’s of a very high level. The artists have great powers of expression. 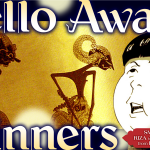 And I don’t just mean the Winner’s award winner and the Excellence Awards. 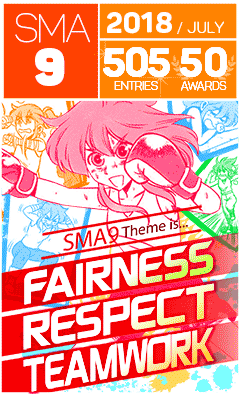 There were lots of gems among the Honourable Mentions as well. Of course, being able to draw well is important, but since most of the stories were about people or animals, it’s more a question of how much emotion it makes the reader feel. Since there’s no dialogue, the pieces which grabbed my heart communicated those feelings via drawing. Mr. Chiba, you teach a course on how to draw manga at the Bunsei University of Art1, correct? Do you ever make your students draw SILENT MANGA? Chiba: I haven’t done that. But I’m always telling them to keep the dialogue to a minimum and to express things with the characters movements or the background. 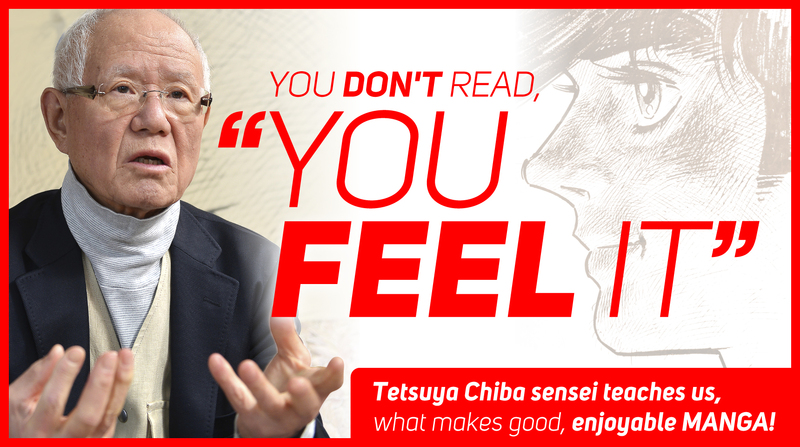 You don’t want people to read your manga, you want them to feel it. And I don’t mean to say the characters must be of silent types, it’s okay to have chatty characters too. But people end up using too much dialogue? 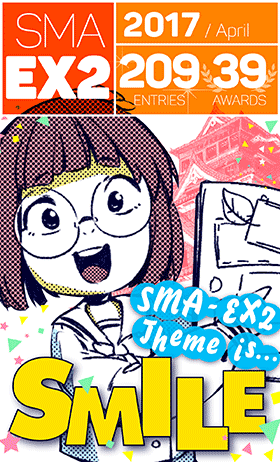 Chiba: “This story takes place in the year 20XX” etc. etc. If you’re writing a short story, then sometimes this sort of thing is unavoidable. You need to explain the setting earlier on, to let your readers come in to your world. But, I think that instead of using narration or dialogue, you should try to explain those things silently. In that sense, this book is excellent educational material. I’d love to let my students read it. I think you’ve seen a lot of work from young artists. Do you see any common patterns, in their creation? Chiba: They have the time, so they draw in too much. For example, they’ll put in every detail of the background. They’ll include a lot of unnecessary things, like an unrelated guy glancing over or a cat or whatever. But manga is something that’s meant to be read smoothly. A reader may be turning the pages quickly, but he’s completely absorbed in the story. But if there’s too much information, he’s not quite sure where to look. It’s very unfortunate if an artist takes so much time and puts in so much effort but the message doesn’t get across :- the piece must be read several times, carefully checking each panel, only then the reader might realise that it’s actually a very good story. If it takes time to follow the panels, then the reading experience is quite different. Chiba: I often stop and ask my students “Wait, who’s this guy again?” You have to make the characters so distinct that you can tell who they are just by looking at their silhouette. Not just their size, but the look in their eyes, their accessories, the way they speak… You have to make it so that the reader knows who they are with just a glance. Because in school anime, you have a lot of characters wearing the same uniform. If you don’t make your characters distinct, then they can get lost in the background. And yet, they still want to draw complicated backgrounds. Chiba: Well, they don’t want to be seen as “being lazy”. It’s because they have time that they draw too much. But if they become professionals, then they’ll have to work at a faster pace, whether they like it or not. 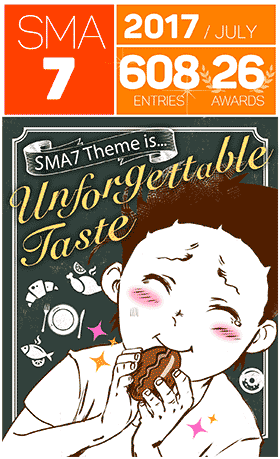 So in that sense, SILENT MANGA is a good educational material? Chiba: It’s excellent. If you use it to study how to move the reader without resorting to words, then I think you can grow as an artist. Have you ever published any silent works? Chiba: A long time ago, in a magazine called COM2, I drew a manga about myself. In the manga, I’m sitting at my desk, trying desperately to think of a good idea and then when I finally come up with something, I enthusiastically draw it. But then, when I look back at it, I think “Ah, this is so boring” and I go to sleep… It was really fun to draw! 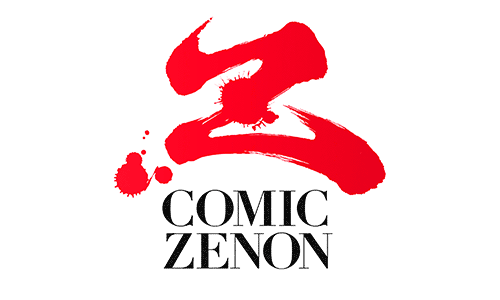 Monthly Comic Zenon3 also runs a domestic SILENT MANGA AUDITION and many artists have been able to debut after winning that award. We feel that one’s directing*1 ability is a key indicator of success. As someone who has seen a lot of aspiring manga artists, what do you think? Is it something that can’t be taught? Chiba: Well, sort of. For example, say you have the students draw a scene where a mother comes to pick her child up from kindergarten. The scenario is that the mother has been away, so she hasn’t seen her child for a while. I tell them to draw up to the part where the child sees the mother and I tell them to make good use of negative space*2. So everyone is going to draw the same concept. Chiba: If you just follow the story word for word, it’ll all be over in a single page. The top half is a bird’s eye view of the playground with the kids playing in the sand pit. Then it cuts to the mother standing at the gate. “Tetsuya, mommy’s come to pick you up!”, “Oh, it’s mom!” and that’s the end. 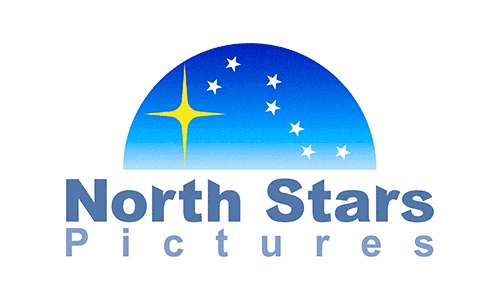 But depending on how they use the negative space, there will be some differences? Chiba: They just want to hurry up and get on with the story. I think it would be a much better story if they added even a single extra panel in-between. It’s hard to put into words what that negative space could represent. Maybe the child saw someone in the distance, but he’s not quite sure who it is. The negative space could be his hesitation. He’s thinking “Could that be mom?” This builds suspense leading up to the moment when he realises that it’s his mother. Chiba: I said earlier it’s difficult to teach, but after learning about it in class, there are some students that get it. Suddenly their work changes dramatically. 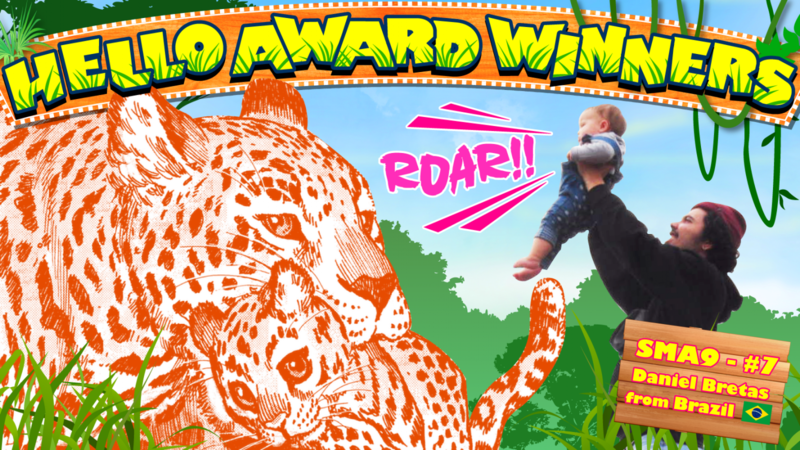 While there are some who just don’t get it, drawing wacky endings like the kid throwing his mother in the air! Saying that, my experience tells me it’s difficult to teach this to people from other countries. Many tend to advance the story too fast, with the minimum number of panels, like they do in American comics. They can do things like, using a huge panel to create a highlight, but they have difficulty, for example, leading the reader’s thoughts in circles until they get worked up. Japanese people use expressions that develop inside the reader’s heart. Sports like baseball also consider proper spacing to be important, right? Chiba: Even in sumo, after each bout, the referees signals the next bout with wooden clappers. This creates a neat break between the matches. And when the wrestlers are staring at each other, they also take their time, sizing each other up. Chiba: Yes, it’s very distinctive. Starting with your work Ashita no Joe4, sports manga have been very effective at building tension. Chiba: While I’m a manga artist, I also try to keep the readers’ perspective in mind. In reality, it might all be very quick. Whack! Whack! Whack! And the match is over. But that’s not very interesting. With every single punch, the boxer should be feeling something. People drag their past along with them. For example, if the opponent is someone they’ve lost to in the past, and they’re having a rematch, they might be replaying the last match in their heads. The thoughts are running around in their minds. Directing is showing the readers those thoughts. There might only be a few seconds between the punches, but in that time, there’s lots going on. You can’t draw too much and you can’t draw too little. In Ashita no Joe’s famous last scene5, where Joe is drawn in pure white, slumped on his stool, completely burned out, it’s said that each reader interpreted the scene in a different way, making it a brilliant example of SILENT MANGA. Chiba: At the very last minute, I was panicking because I didn’t know what I should do for the last scene. My editor brought an earlier volume and said “read this episode one more time”. I had started to forget about all the things I’d drawn before because I didn’t go back and re-read them. The part he wanted me to read was the scene where Joe and Noriko have a date in the park. That’s the scene where Joe tells Noriko “I’m going to burn so bright and so red I’ll dazzle everyone. All that will be left is pure white ash”. Chiba: When I read that again, a scene with a pure white Joe sitting on a stool in the corner of the ring popped into my head. My editor had given me a great hint at the last minute, just before the deadline! There was hardly enough time left to draw it! So, you drew that last scene in a great hurry? Chiba: That’s right. Usually a scene like that would take two and a half to three days, but I drew it in just one. But despite that, it looked quite good. After seeing all the SILENT MANGA that was sent to us from the world, what do you think are the differences compared to Japanese manga? Chiba: There’s a story where a mother is looking after her sick child. (“A Hope” by felixsetiawan). If you look at the clothing and location in that story, you can really imagine the lifestyle in the culture over there. When you’re drawing a big city, it ends up looking the same, no matter what country you’re in. But a countryside scene, particularly one done silently, really has a lot of feeling in it. 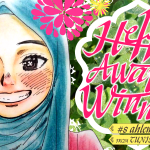 Manga can really help us understand things like our individual beliefs and customs. Of course, that’s not because it’s silent, but because it’s manga. There was also a story about a homeless man? Chiba: At the end, the homeless old man is smiling, but the situation felt kind of scary. It’s because it was drawn from the old man’s perspective, looking upwards. Even though he was getting some food, it seemed like he should be afraid. Maybe because we just had a scene where he was getting chased away. So in the scene where he gets the bread, I felt there may be a more fitting approach, to illustrate his emotions much more clearly. Chiba: The bread also looked a bit like a stone. You need to be careful that the reader doesn’t misunderstand! They have to look at it and instantly think “that looks delicious!” But drawing from the old man’s point of view was good. The author needs to be able to sympathize with his characters, understand how they feel. He’s looking up at the other people, and they are all drawn as being very happy, creating contrast to that poor old man. You feel the misery of being in his place. That kind of expression is a unique part of the grammar of manga. It’s great to see them utilise it. 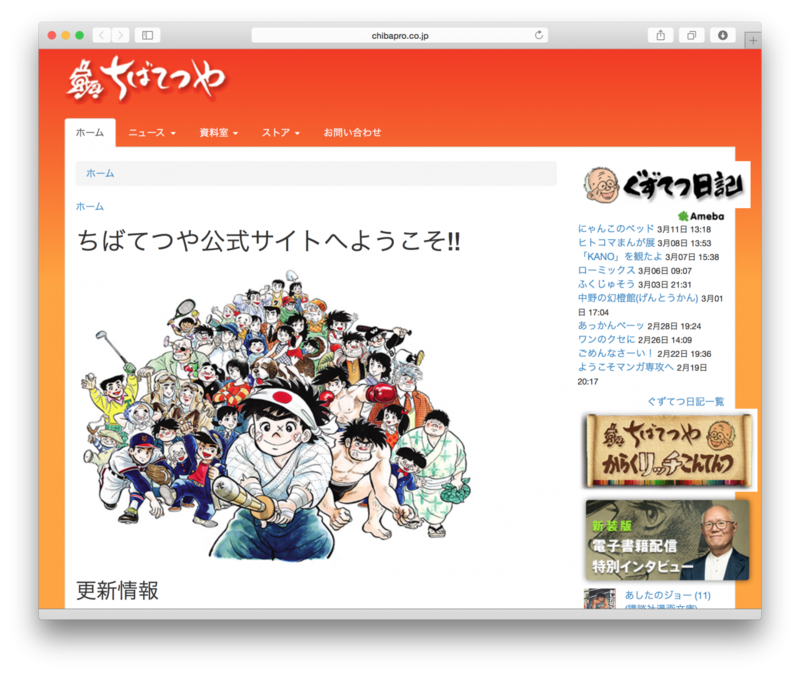 Chiba: Japanese manga has spread all over the world and people from different countries have discovered how it can be used to create interesting, expressive stories. 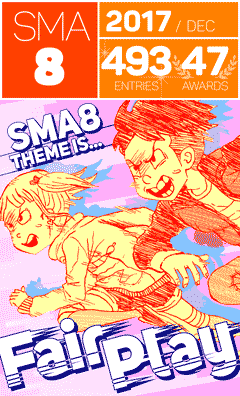 Many artists have been influenced by manga. I hope those artists will now use what they have learned to create something distinctive of their own countries. I hope they’ll all be able to become great artists in their unique way. I’m looking forward to seeing what they create! After all, in the beginning, Japanese manga was influenced by Disney, American comics and bande dessinée6. Who have you been most influenced by? 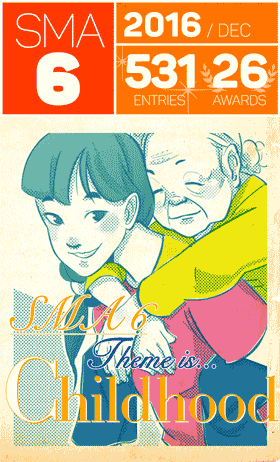 Chiba: Of course, Osamu Tezuka7 and Noboru Baba8. And my colleagues Shotaro Ishinomori9 and Reiji Matsumoto10. I’ve been influenced by many people. If I read a great work, I’ll learn something from it. I was also especially influenced by Soji Yamakawa11. 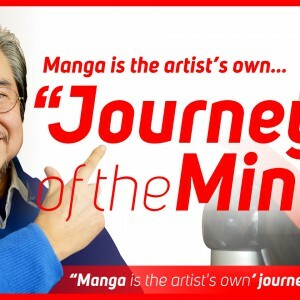 He’s famous, not for manga, but as an author of illustrated stories, such as Shonen Ouja and Shonen Keniya. I liked the pictures but when I first read them, I didn’t realise at the time, just how much of an impression they made on me. But then later, when I read the reprints, I noticed that there were a lot of things that I had picked up. That’s something you read when you were young, right? Chiba: That’s right. I wasn’t allowed to read manga when I was little! But illustrated stories were okay? Chiba: Well, Yamakawa’s work was almost like a manga, so I didn’t dare to bring it home for fear of being scolded. I read it on the sly. I think that the grammar of manga has evolved a lot since you started drawing, but is there a part of it that has remained the same? Chiba: My generation was definitely influenced by movies and directing. Manga is like a movie storyboard really. Osamu Tezuka, Takao Saito12, Shotaro Ishinomori, Reiji Matsumoto… they all loved movies! That was a period when panel layouts were continually evolving, wasn’t it? Chiba: Everyone was discovering new techniques in their own genres. There were some who developed very fast pacing to great effect. While others, like myself, used lots of spacing. So the story didn’t advance very quickly, but you were always interested in what the characters were doing. 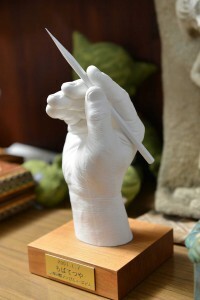 Each artist created their own tricks of the trade. 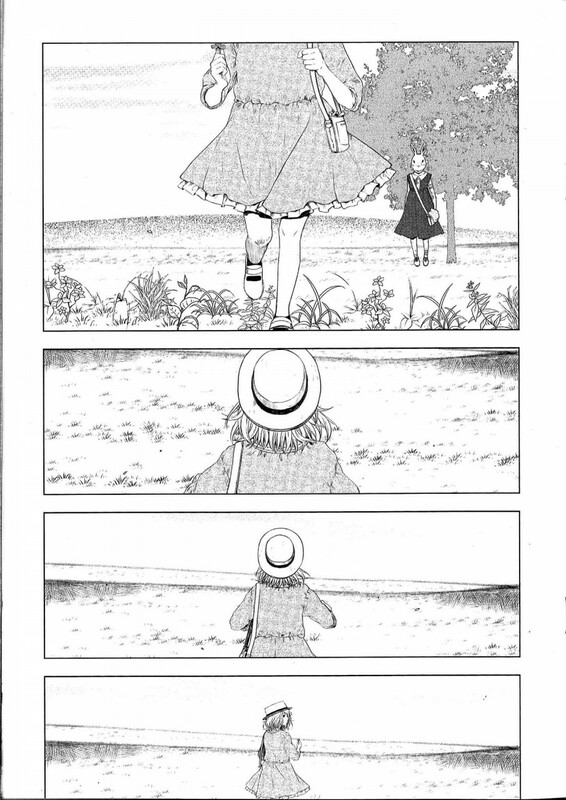 What do you think about the potential of SILENT MANGA? Chiba: Without using a single word, they could express so much and make the readers feel so deeply and that’s wonderful. There’s a story where a girl is wearing a bunny mask. (“Forward” by yoonmi) She meets a girl who looks exactly the same. I wonder who she is supposed to be? According to an interview with the author, it’s the same girl from the future. Chiba: I see. So I guess that may be a bit of a bitter story? 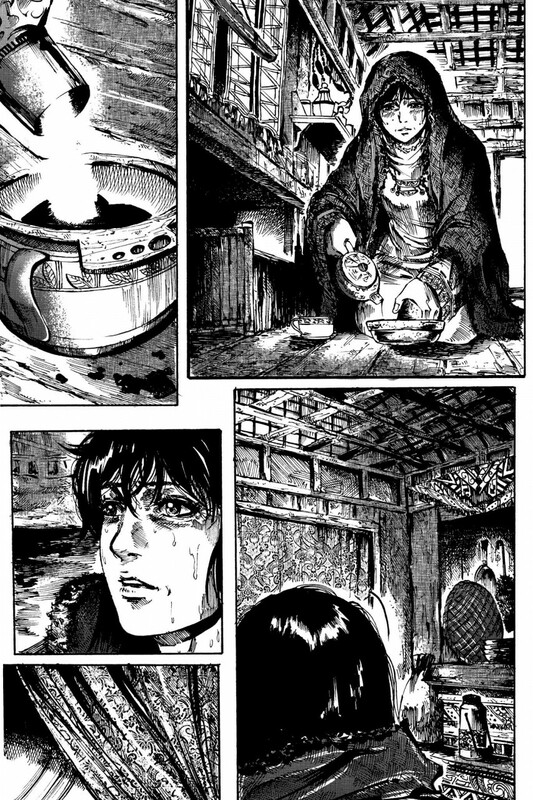 Emotional pain expressed with pictures, the panel layout… it’s an excellent piece. You could say it’s poetic. What are humans? Why are we alive? There were many pieces which made me feel, and think about these things. Everyone’s drawing is amazing. 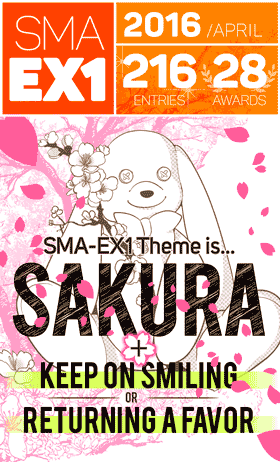 If we’re just talking about artistic skills, then they’re on the same level as Japanese artists. 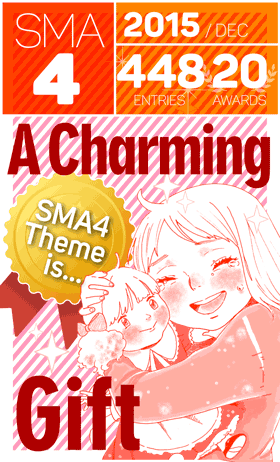 Chiba: Japanese artists might actually be losing in that sense! However, with regard to the panel layouts, or how you make a certain panel send a certain message, Japan has something that is very unique. I guess that’s because we’ve all been reading manga since we were young. Chiba: It’s something we do subconsciously. What do you express with one panel that will bring the next panel to life? What do you draw where? Maybe it’s because we’ve all been reading manga since we were small that we’ve gained that ability. Perhaps it’s in our DNA! 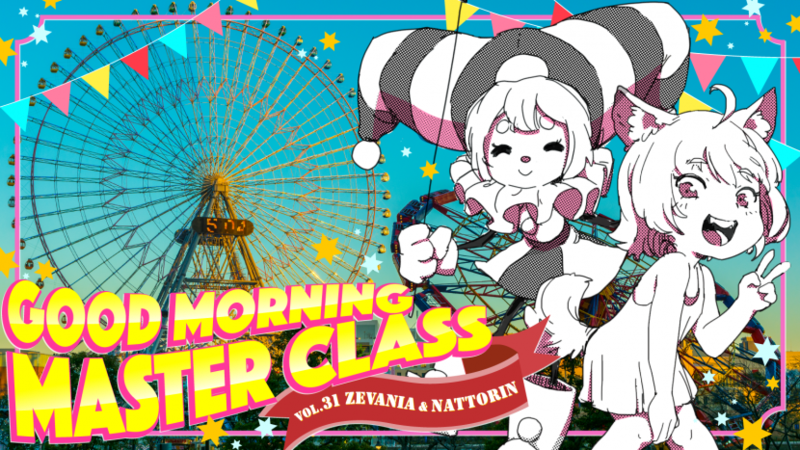 We’ve been personifying animals since Choju Jinbutsu Giga13! 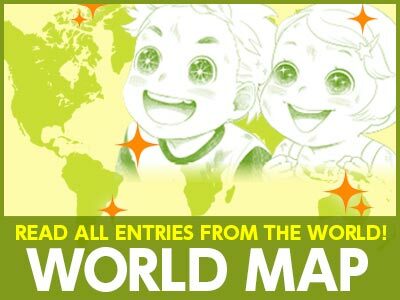 Thanks to the internet, people from around the world are also starting to read manga from a young age. I’m sure a lot of new talent will be born in the future. Chiba: Definitely. We’re still in the beginning stages now, still developing. 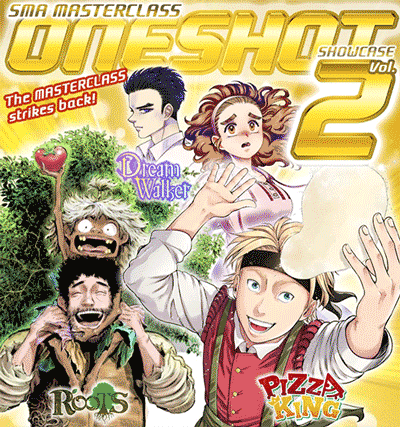 I think we’re soon going to see a lot of amazing new manga artists. We’ll read each other’s work, influence each other and new techniques will be born. Anyway, everything is going to be done digitally from here onwards. Chiba: My guesses probably won’t amount to much, but I think that in the future, the pictures will move, sounds will play… it will become a little closer to animation. As for all our techniques that were based on page turning, I can’t even imagine how that will evolve. And make no mistake, everything will be in color! When you’re working digitally, it’s a lot easier to add color. People say that when TV went from black and white to color, it became a lot easier for the audience to become absorbed in the shows. 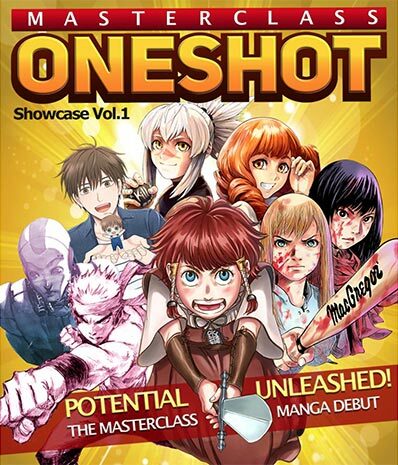 Manga might go in a similar direction. Chiba: People have always lived in a world of color. In the beginning, Japanese manga was really cheap. The paper quality was bad and the printing technology was very simple. People thought “Keep it simple. As long as it meets the minimum requirements to be entertaining, it’s fine” and so it was done in black and white. But in the digital age, paper is unnecessary, so it’s natural that color should be added. Though it’s hard to throw away that distinctive black and white style. Chiba: That’s true. Thinking in terms of black and white has become second nature to me. It’s black and white, so how will I make the reader see color? How will I make them feel warmth? How will I make them understand the changing of the seasons? That’s what I was always thinking about when I drew. I guess that wasn’t easy to begin with. Chiba: You just had to do your best to express it. But soon we’ll be able to use color for everything. So our thinking will change. We’ll think in terms of what color makes people feel what emotion. Artists will probably become very adept at a sort of “color psychology”. To put it simply, when someone is feeling blue, you’ll literally use blue! Although digital technology is advancing, one of the great things about manga is that all you need is a pencil and you can tell an amazing story. This is something I really want to share with those who are living in developing countries. 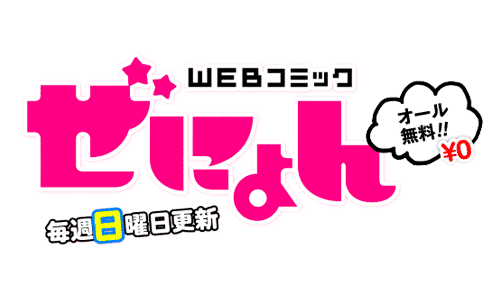 Chiba: With manga, as long as you have stationery and paper, you can create any sort of world. You can make the reader feel excitement. So I’d love to see a SILENT MANGA drawn by a young person in North Korea! Or a story from someone living in the deeper part of China. 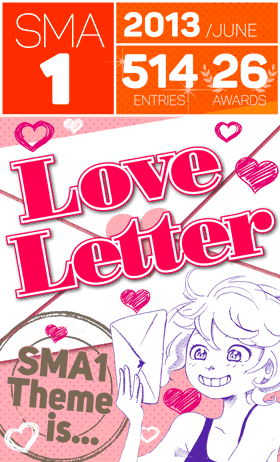 They could express their feelings with SILENT MANGA and then send it to the world. Those things are now made possible. Chiba: But as the late Takashi Yanase14 often said: It’s hard to develop manga in countries that are suffering from war or hunger. In places where terrorism is widespread, people are busy avoiding bombs, doing their best just to survive. In places where people are hungry, food is the only thing on their minds. But I actually wish I could see a story from a person living in a place like that. Please try to get this book to those countries. They could possibly create something amazing. 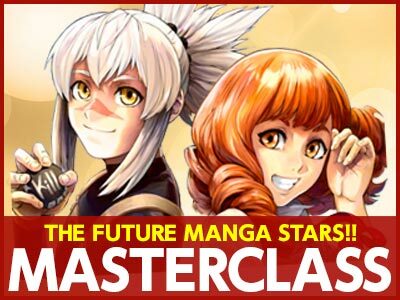 And the first step is introducing them to SILENT MANGA. I heard that when you were young, you went over to Manchuria and after the war, you had to hide in an attic in Fengtian City for half a year15. During that time, you drew manga and gave it to your brother to read? Chiba: I was actually bored enough to do that. We were hiding out in that attic for days on end. My younger brother was so restless that he wanted to risk going outside and I didn’t know how to stop him. Our father happened to work at a printing company so we had paper. I even had some stationery hidden away. But you know, I was only six years old then. I wasn’t very smart. And I hadn’t read many books either. So all I could do was take some of the stories we’d heard from our mother and do them in a sort of picture story style. If I did that, I got my brother’s attention. He’d say “What happens next! ?” or “Do another one!” I think that was my starting point in the creative world. So keeping someone entertained is the starting point. Chiba: Moving someone, making someone laugh, or even cry. I think it’s amazing that you can do all that with just a single pencil. But I only really thought about that after I came back to Japan and started reading manga. When I was 6, I just made a few crude drawings, but even that made my brother really happy. 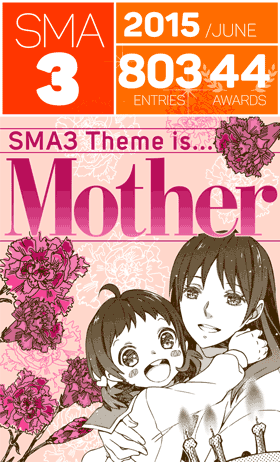 You could say that the drawings based on your mother’s stories was your first original manga! Chiba: I think I mixed up Aesop’s fables and Anderson’s and a whole bunch of other stories. But you don’t need a perfect story or perfect pictures to entertain someone. 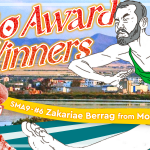 The SILENT MANGA that was sent to us from all over the world are only short stories of 10 or 12 pages, they leave such strong impression, I will never forget them. They’ll remain in my heart forever. So I’m looking forward to the next round! Born in Tokyo, on Nov 1st 1939. Straight after he was born, he left Japan, returning the year after the war ended. 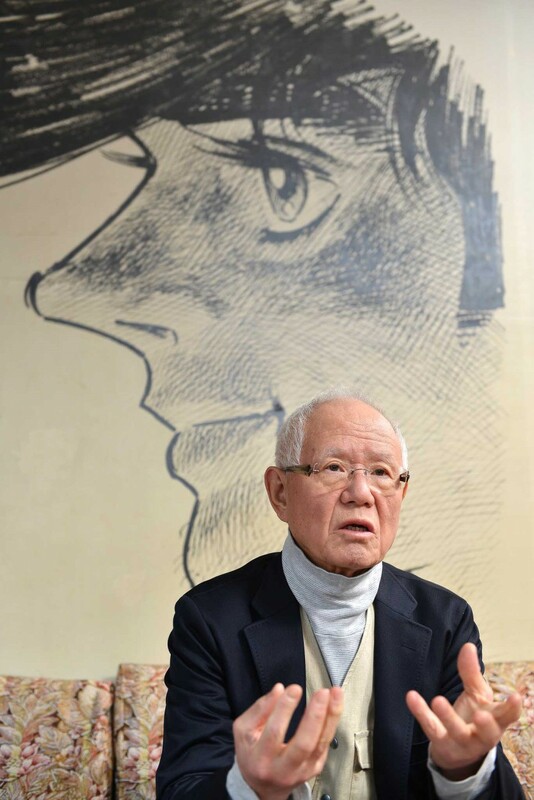 In 1959, at the age of 17, he debuted as a rental manga artist. 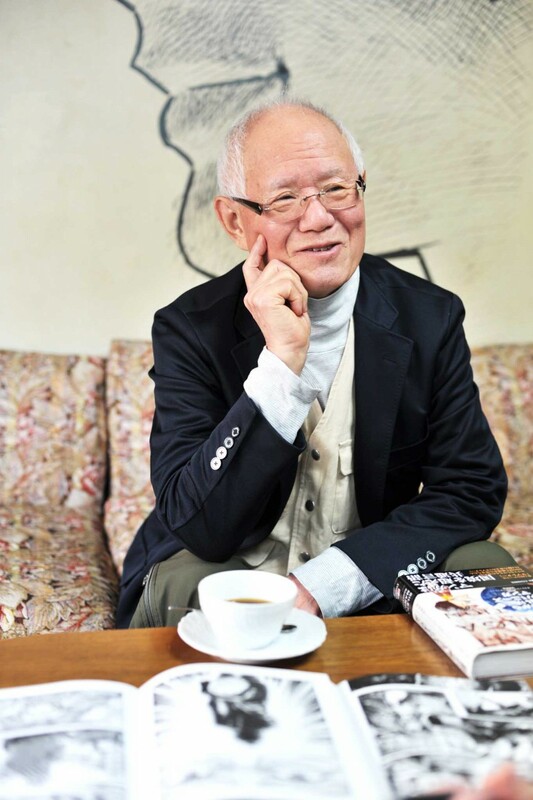 In 1961, he started Chikai no Makyuu in Shonen Jump. After that, he produced hit after hit, such as Shidenkai no Taka, Harisu no Senpu and eventually, Ashita no Joe (original story by Ikki Kajiwara) a mega hit which became a social phenomenon. 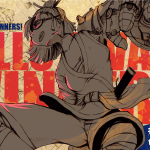 Since 2005, he has been working at the Bunsei University of Art, enthusiastically training a new generation of manga artists. “Directing ability” (演出力) refers to the ability to draw manga in the same way that you would direct a film, such as by making the “actors” (your characters) act in a way that helps the reader understand how they feel or by using various “camera angles” to tell the story efficiently. A good manga is like a movie storyboard. Even if you can’t hear the dialogue, you can get a good idea of the story just by looking at how the scene plays out. Chiba Sensei is talking about the Japanese concept of “Ma” (間). Ma can be roughly translated as “space”, “interval” or “gap”. In Japanese arts, it refers to the negative space between two positive objects. This empty space allows the main objects to stand out even more. In manga, this could be the “down time” between two plot events or two actions. A private university in Utsunomiya City, Tochigi Prefecture. It was founded in 1999 with the aim of educating young people with integrated modern art courses. Tetsuya Chiba works in the art department, teaching a manga course. A manga magazine that was headed by Osamu Tezuka, which was founded in 1966 and run until 1973. With Osamu Tezuka’s Phoenix as its signature piece, it produced a large number of talented artists such as Mitsuru Adachi and Keiko Takemiya. 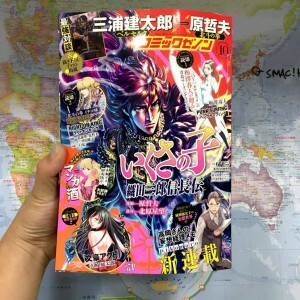 A monthly manga magazine by Coamix which has been running since 2010. 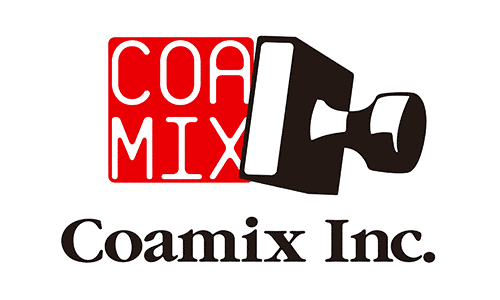 Coamix runs a domestic SILENT MANGA AUDITION where new authors must battle it out without using any dialogue, thus proving their “directing” ability. 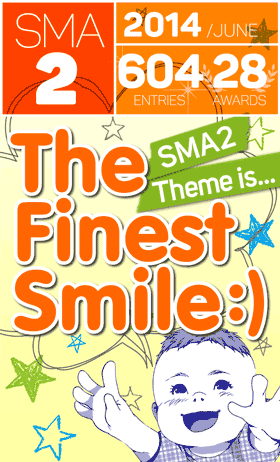 This competition was the first stepping stone for several major authors such as Shin Hotani and Molicoross. A coming-of-age story about boxing, which was serialized in the Weekly Shonen magazine from 1968 to 1973. A delinquent, Joe Yabuki, meets a former boxing trainer, Danpei, and from there, goes on to stand in the ring and face his rivals. It was one of the big hits after the war and had a big influence on society. On the last page of the final volume, there is a scene with Joe drawn in pure white, completely burned out. He’s slumped on his stool in the corner of the ring and has a faint smile on his face. Based on this last scene, which has no dialogue, fans hotly debate whether or not Joe died at the end of the story. 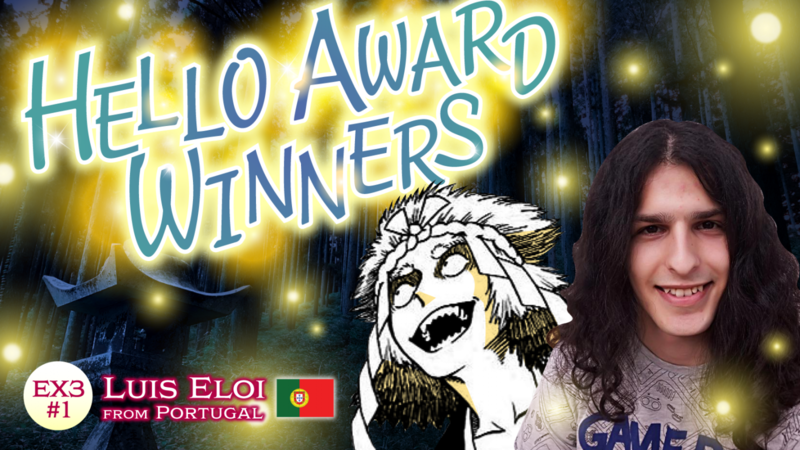 Artistic story manga, read mainly in the French speaking world. The science fiction bande dessinée author Moebius had a strong influence on many Japanese manga artists. Born in 1928 in Osaka. He is considered the pioneer of Japanese story manga. He established the current style of manga and was one of the first to make serialized TV anime. 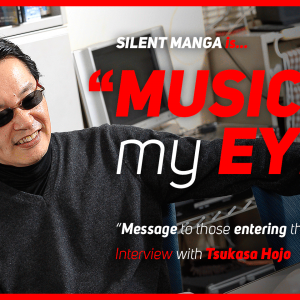 Some of his notable works are Astro Boy, Jungle Emperor, Phoenix and Black Jack. He died in 1989 from stomach cancer at the age of 60. Born in 1927 in Aomori Prefecture. 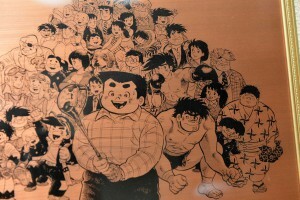 In 1959, he debuted with a baseball manga called Posto-kun. His most notable work is the picture book series Eleven Cats. Together with Osamu Tezuka and Eiichi Fukui, he was one of the Big Three of the children’s manga world. Born in 1938 in Fukuoka Prefecture. He was the first science fiction writer in Japan. During the 70s and 80s, his works were made into anime, setting off an unprecedented Reiji Matsumoto boom. Born in 1908 in Fukushima Prefecture. Shonen Ouja, which he had written before the war as a play, was very successful when released as an illustrated story in 1947. Shonen Keniya, which was serialized in the Sankei newspaper from 1951, was also a big hit. It was later made into an anime, TV drama and movie. Born in 1936 in Wakayama Prefecture. 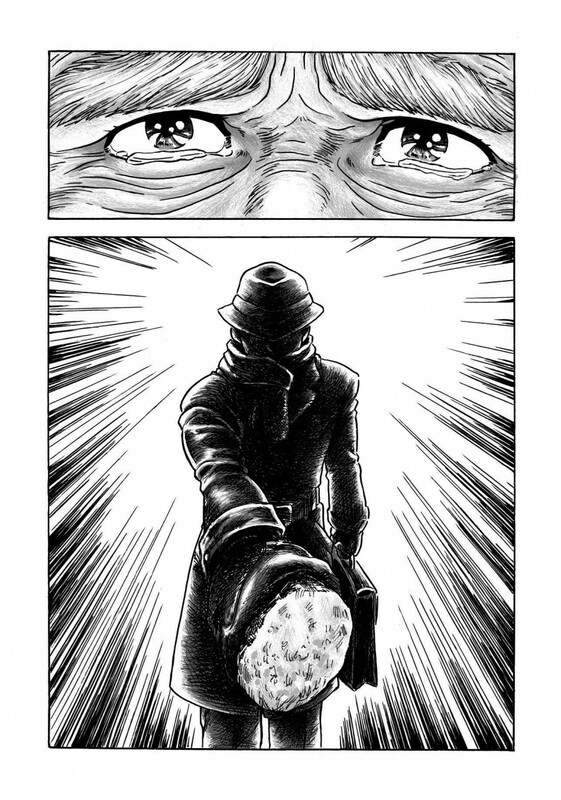 He was one of the pioneers of a genre called gekiga (a comic strip with a dramatic story). In 1968, he created a manga called Golgo 13, about a 1st class sniper called Duke Togo, which was published in Big Comic. Serialization has continued up to the present day, making it an exceptionally long-lived title. An ink picture scroll from Kozan-ji Temple in Kyoto. Reflecting the society of the time, it was a caricature of various people and animals, and used some techniques that are close to those used in modern manga. It’s known as “The Oldest Manga in Japan”. Born in Tokyo in 1919. 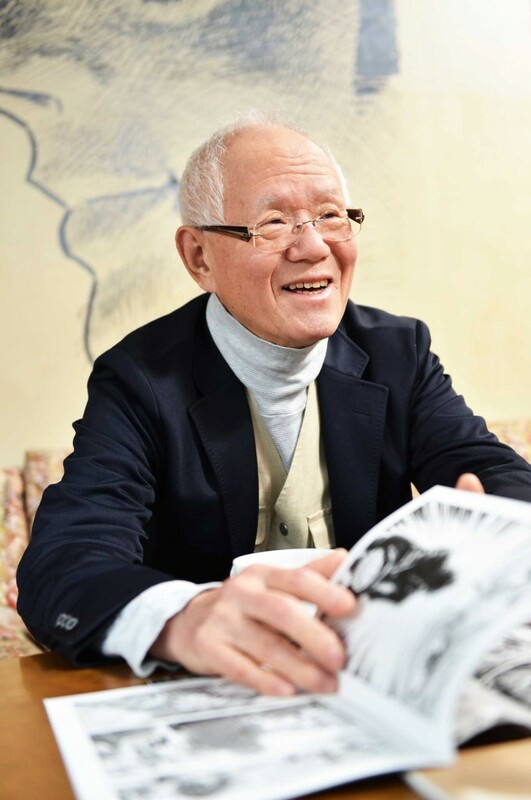 After the war, he made a living as a manga artist for newspapers and children’s books and in 1969, he created the first Anpanman picture book. In 1975, he created a picture book called Soreike Anpanman which served as the model for the Anpanman that we know today. In 1988, an anime version was made, which was very successful among preschool children and Anpanman became a national character. Takashi Yanase died from heart failure in 2013, at the age of 94. After losing the war, the Chiba family, who were living in Manchuria at the time, tried to escape the post-war chaos and violence. They were forced to hide in the attic of the house of a Chinese friend for half a year. If it was discovered that Japanese were hiding there, it would have caused their friend no end of trouble, so they were forbidden to speak. As the eldest among 4 boys, Tetsuya Chiba made picture stories to keep his brothers amused.